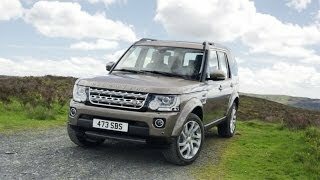 To celebrate the 25th anniversary of Land Rover Discovery, Land Rover introduced its remarkable Land Rover Discovery XXV Edition 2014; indeed a treat for automotive market. Selling over a million models since 1989, this anniversary surely is a big occasion for the company and from my view it can’t be better than this. Let us have a look at the review of Land Rover Discovery XXV Edition 2014 to know it better. Interior of Land Rover Discovery XXV Edition 2014 has everything in its luxurious segment that you may expect from the company. It is a sophisticated and premium amalgamation of world-class designing and materials that not only provide you comfort through space inside but also looked after providing serenity to your eyes. Starting with gorgeously created dashboard, you have a binnacle instrument panel that resides behind it wooden steering wheel that comes wrapped in leather. The stunning steering wheel provides you perfect grip and comes with a XXV embossing. 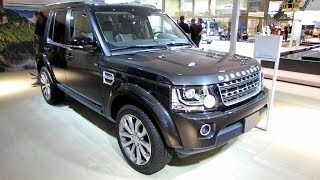 Same touch follows in other major parts of the Land Rover Discovery XXV Edition 2014 interior as well. Interior comes with option of three leather colors; ebony, cirrus and third is a mix of both splattering the dual tone magical effect. Beneath are twist-pile carpet mats adding to the entire glory of Land Rover Discovery XXV Edition 2014. 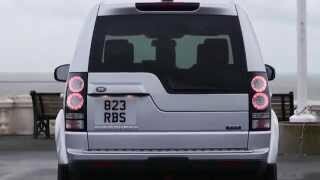 The exterior of Land Rover Discovery XXV Edition 2014 narrates you the uniqueness of this model and reason behind its introduction commendably. Major change in the exterior of Land Rover Discovery XXV Edition 2014 comes through its paint and few additions like that in grille and mirror caps through Narvik Black surrounds add commendably to the distinct looks of Land Rover Discovery XXV Edition 2014. A stainless steel bumper is mounted to roll over the 20” five-split spoke forged alloy wheels featuring silver-polished finishing while the door handles match the body color. 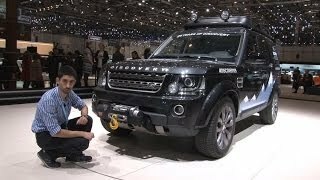 Land Rover Discovery XXV Edition 2014 will be coming to your home at $105,400 (expected), hiding beneath its hood same 3.0 Liter V6 engine delivering 335 hp of total output.